Facebook said on Tuesday it will block foreign adverts aimed at Ireland's referendum on abortion later this month. The tech titan announced the move amid fears outsider organisations and individuals could influence the outcome of the May 25 poll to change the country's constitution. Under the eighth amendment abortion is illegal in Ireland unless there is a real and substantial risk to the life of the mother. 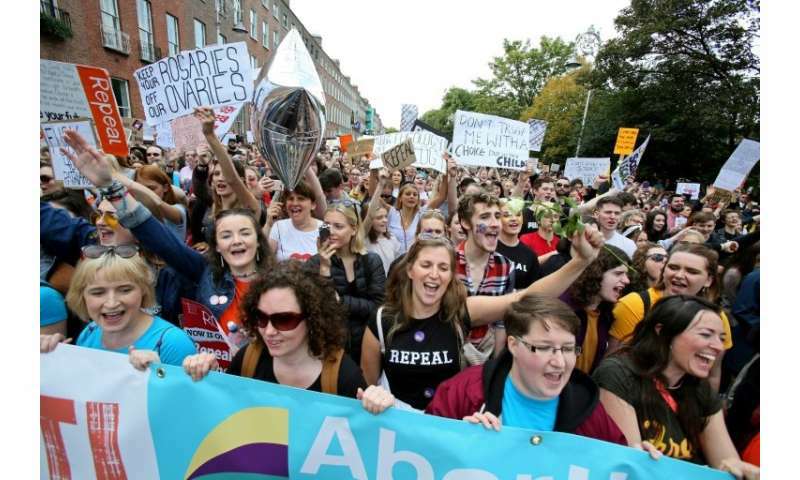 Repealing the amendment would enable laws allowing abortion of pregnancies up to 12 weeks. "This is an issue we have been thinking about for some time," Facebook said in a statement. "As part of our efforts to help protect the integrity of elections and referendums from undue influence, we will begin rejecting ads related to the referendum if they are being run by advertisers based outside of Ireland. "Our company approach is to build tools to increase transparency around political advertising so that people know who is paying for the ads they are seeing, and to ensure any organisation running a political ad is located in that country." Facebook has faced accusations that foreign actors, including the Russian state, have attempted to impact the outcomes of ballots in the US, Britain and elsewhere through the social network. The company said the ban related to Ireland would be effective from May 8, and enforced partly through campaign groups identifying and reporting suspected foreign adverts. Helen Dixon, the Irish data protection commissioner, warned last month foreign actors could try to sway the much-anticipated poll. Zuckerberg needs to go to his mansion and leave the world alone. We don't want HIS world view.